Corso completo sull’allenamento con BOSU® Balanced Trainer. Corso speciale di Pilates Italia® sul BOSU® Balanced Trainer. 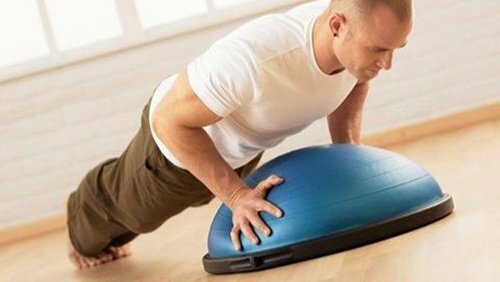 The BOSU® Complete Workout System will provide you with the formula to make the BOSU® Balance Trainer more effective in your club, your classes and with your clients. This foundational certification will take you through the BOSU® system step by step, and provide you with 5 full workouts that you can start using right away. You will leave this certification with knowledge of the science behind functional balance training, teaching skills to accommodate all levels of fitness, and new tools and ideas for designing endless BOSU® workouts that are effective and fun!